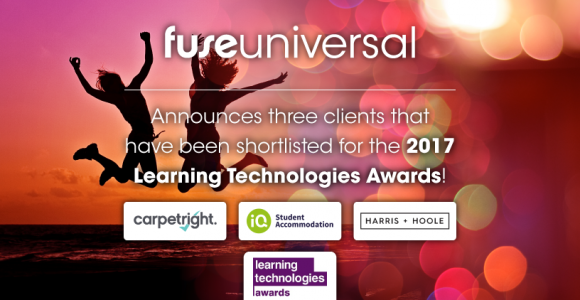 LONDON, UK (October 6, 2017) - Throughout the last 12 months, Fuse Universal, have seen their clients achieve remarkable improvements in both learner engagement and business performance - none more so than within Carpetright, Harris + Hoole and IQ Student Accommodation. The Learning Technology Awards is an annual awards ceremony that celebrates and recognises excellence from across 18 categories in Learning Technologies. The winners will be exclusively revealed at the glittering gala evening at the Park Plaza Westminster Bridge Hotel in London, UK. This spectacular black-tie celebration attracts more than 850 guests worldwide from across the learning technologies industry.